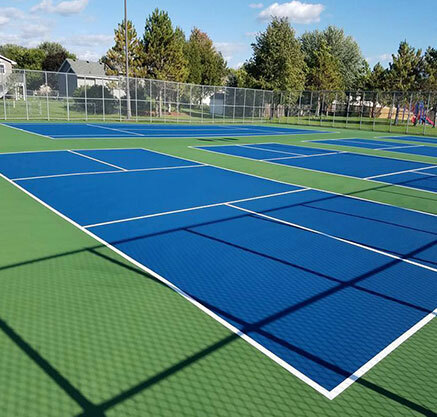 At Surface Pro, we specialize in the process of repairing and resurfacing tennis, basketball and pickle-ball courts. We serve clients in both residential and commercial markets. In the past decade our team has been able to build an impeccable reputation of integrity and reliability while serving hundreds of k-12 schools, colleges, and municipalities. All of our experienced staff are professionally trained and up to date with new safety and procedural regulations. With over 40 years of experience on our team, we guarantee only the highest quality surface repair, resurfacing and maintenance to our clients. 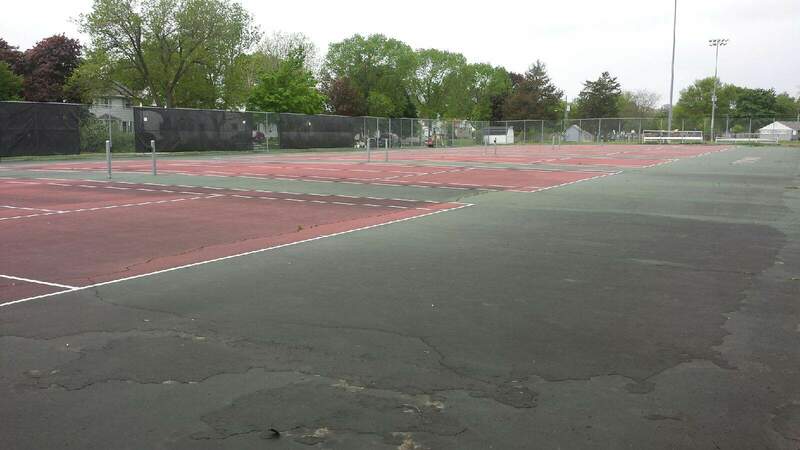 If your court has started to peal and or if you are starting to see what looks like an asphalt surface showing through, then you need to have your tennis court resurfaced. Surface Pro repaired and then resurfaced a court for one of our very important customers and they were very happy with the results, will and do recommend them highly. 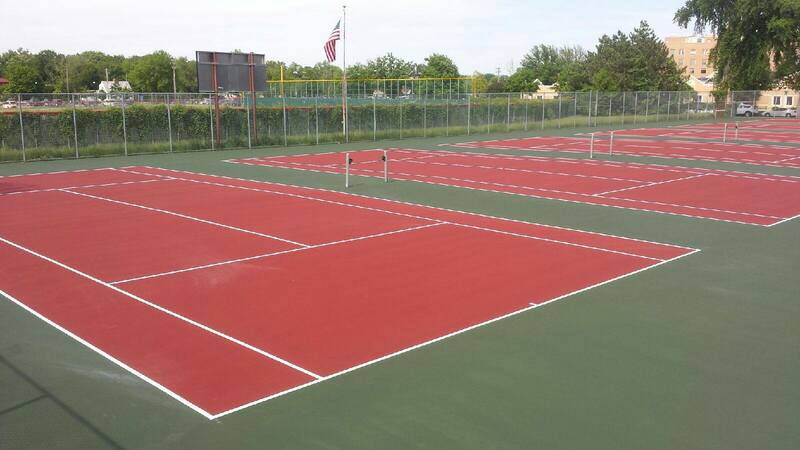 Resurfaced 4 tennis courts in Anoka near my house. 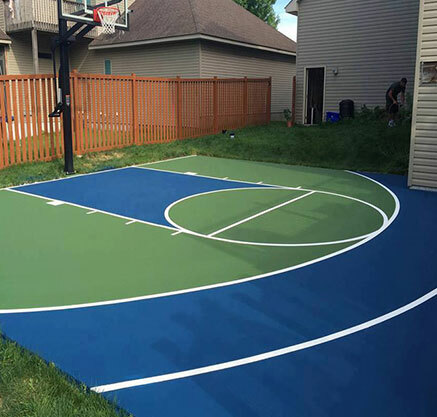 The courts look terrific and My wife and I have had a blast using them. We would highly recommend Mike and his team! 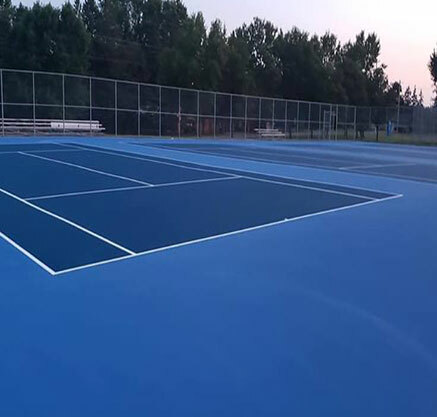 Thank you for a great job, the courts have been brought back to life, James and his crew worked sun up to sun down to complete this project for us with 90 plus degree weather. We could not be any happier with the outcome.